Urban coyotes, or coyotes that live in heavily populated cities and suburbs, have been among us longer than the term itself has. 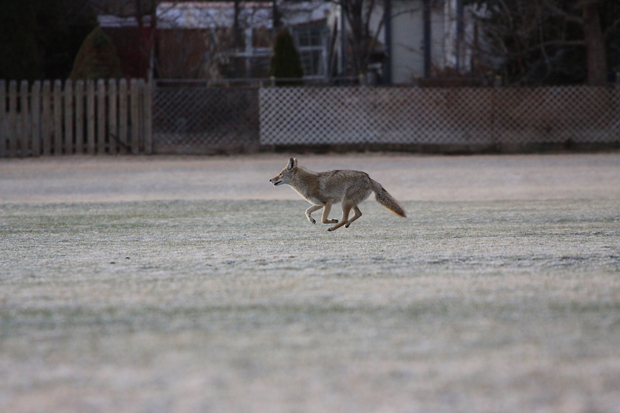 Coyotes have lived nearly unnoticed in urban areas for a number of decades. However, in the past several years, their presence has been an increasing, ongoing concern in Long Beach and the surrounding areas. In response to the issues and opinions that range from using humane methods to control coyotes to those that demand trapping and killing them, the City of Long Beach has engaged Loyola Marymount University to conduct a study on the habits of the coyotes in the city, assist in updating the city’s Coyote Management Plan, and assist with community outreach efforts. 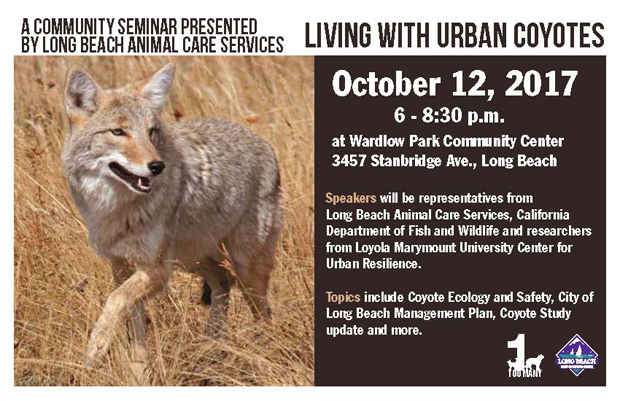 With this in mind, the Department of Parks, Recreation and Marine Animal Care Services Bureau will host a community seminar to educate Long Beach residents about coyotes that are sighted in Long Beach and its surrounding areas. The seminar is scheduled for Thursday, October 12, from 6:00PM to 8:30PM at the Wardlow Park Community Center, 3457 Stanbridge Avenue in Long Beach. Speakers at the seminar will include representatives from ACS and the California Department of Fish and Wildlife, and researchers from the Loyola Marymount University Center for Urban Resilience. The researchers are currently conducting a coyote study for the city. There will also be a question-and-answer period at the end of the presentation. “I hope families that are impacted by or want to learn more about the issue will attend this seminar and take advantage of the expert knowledge that will be present,” Stevens said.